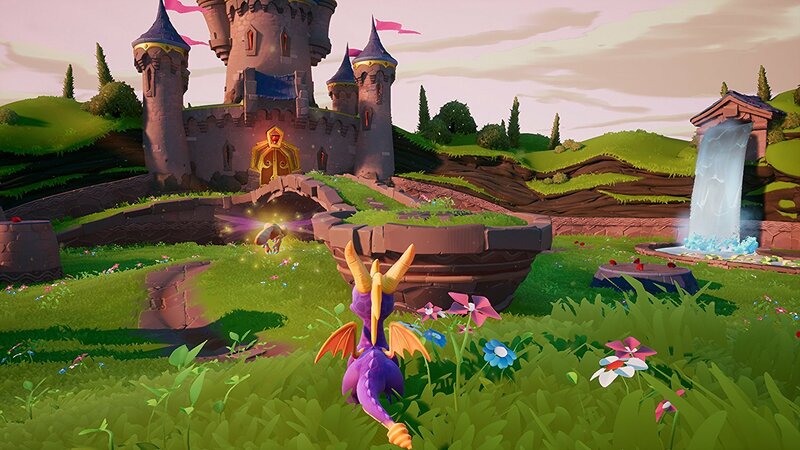 In the vein of Crash Bandicoot N.Sane Trilogy, the remaster of the PlayStation era platformers in the Crash Bandicoot franchise, we are now going to be getting Spyro Reignited Trilogy, which similarly remakes and modernizes the three PlayStation era platformers in the Spyro the Dragon series- games that were developed by Insomniac back in the day. If you want to see how the Spyro remakes are coming along, you can check out this brand new footage for the game, which shows us 12 minutes of gameplay from the Idol Springs level from Spyro 2: Ripto’s Rage. The game looks to be redone every bit as lovingly as the Crash Bandicoot games were in the N.Sane Trilogy last year, and gives me hope that this package will reintroduce the beloved purple dragon to a new audience just as Crash was introduced to a new generation of gamers thanks to N.Sane Trilogy. We’ve embedded the trailer below for your viewing pleasure. Reignited Trilogy comes out on PS4 and Xbox One on September 21.